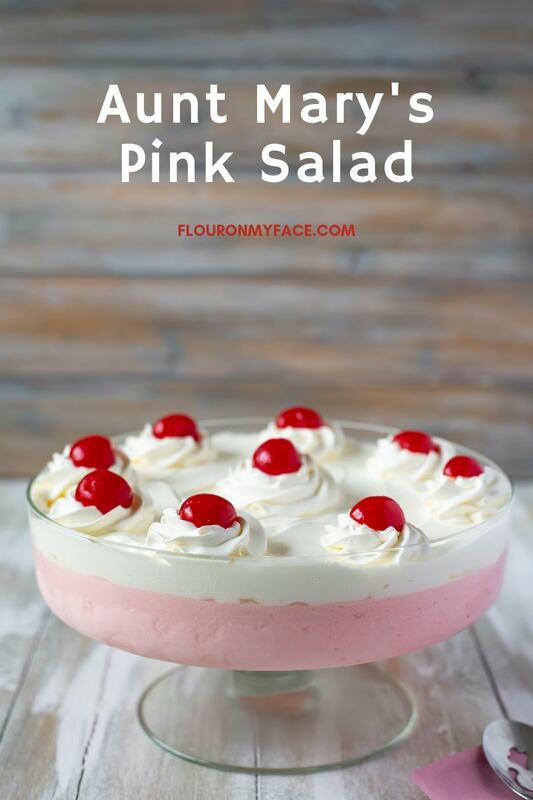 Aunt Mary’s Pink Salad recipe is made with gelatin, cream cheese, pineapple, cherries, and cool whip. This pink salad is an old fashioned recipe you have got to try! 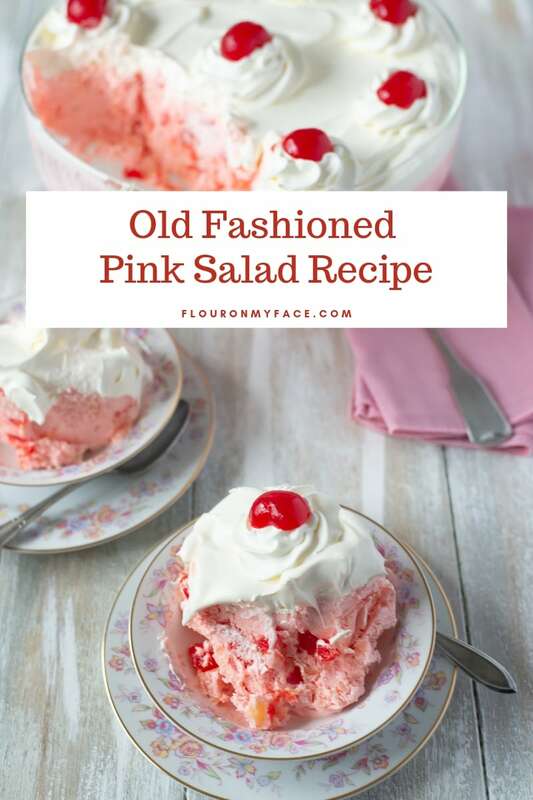 You might be familiar with a similar recipe called Pink Fluff that is slightly similar to this old fashioned Pink Salad recipe from my mother-in-laws Aunt Mary. What is Pink Salad recipe? Aunt Mary’s Pink Salad recipe has been around since the early ’70s as far as we know. At least that is when Aunt Mary shared her recipe with the family. This Pink Salad recipe may be older than that. I didn’t get a chance to look through all of the old family cookbooks my mother-in-law passed down to me. If I find it I will add the info to this post. This Pink Salad recipe looks very similar to the Pink Fluff Salad you may be more familiar with. 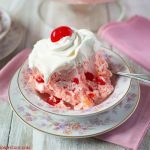 Pink Fluff Salad uses canned cherry pie filling and sweetened condensed milk. 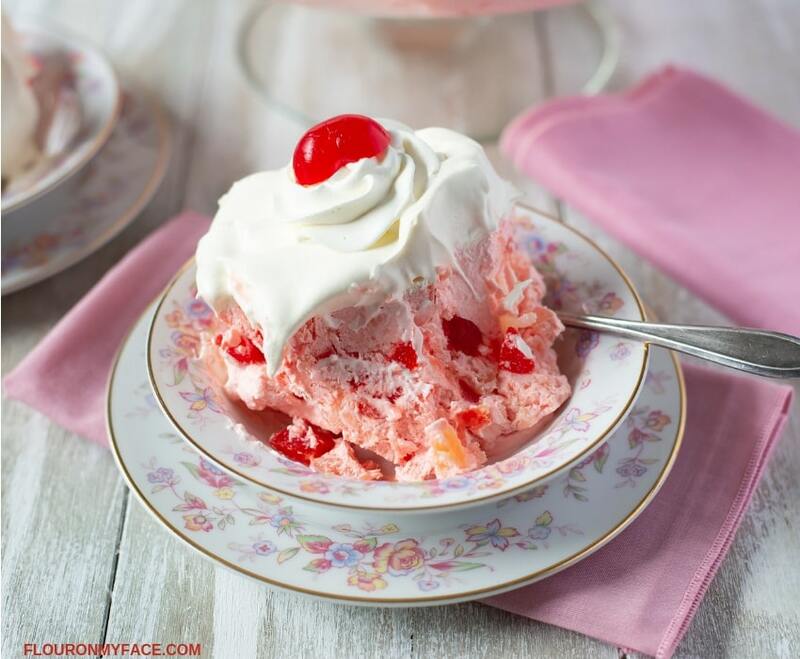 Aunt Mary’s Pink Salad recipe uses maraschino cherries, an envelope of gelatine, cream cheese, crushed pineapple, and cool whip topping. This Pink Salad can be made soft and fluffy or frozen. I decided to make Aunt Mary’s Pink Salad frozen this time. It is so hot here already and it is really hard to photograph fluffy salads or any desserts with whipped cream in them before it starts to melt. The grandkids were here this weekend. They are the best taste testers I could ever have. They loved Aunt Mary’s Pink Salad recipe. Looks like I will be making it again in a couple of weeks at our Easter Dinner. The Pink Salad recipe is a perfect Easter recipe, Spring recipe or is perfect for a girl baby shower. You can serve the Pink Salad any time of the year. Mix cold water with gelatin and whisk until lump free. Set aside. Pour the crushed pineapple and juice into at least a 4-quart pot. Add the sugar and stir to combine. Bring pineapple and sugar to a boil. Once boiling pour the dissolved gelatin into the pot a stir into the pineapple until lump free. Remove the pot from the stove and using a hand mixer carefully beat the cream cheese into the pineapple until lump free. Cover with plastic wrap and refrigerate an hour or until cooled and thickened. Drain the cherries into a bowl reserving the juice. Roughly chop the cherries. Remove the cooled pot from the refrigerator. Stir the chopped cherries and the reserved cherry juice into the cooled ingredients in the pot. Fold the Cool Whip into the mixture. Transfer the ingredients to a 9 x 13-inch baking dish. Cover with plastic wrap and refrigerate at least 4 hours before serving. Overnight is best. 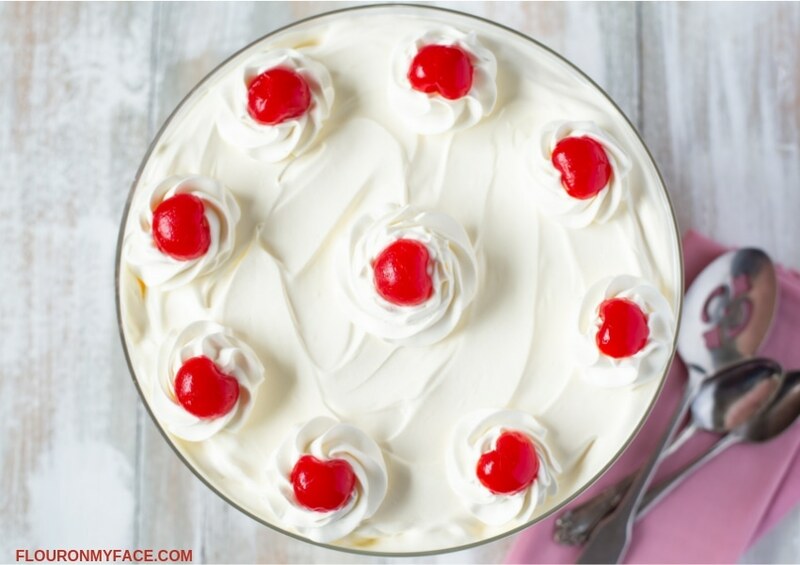 Optional: Spread an 8 oz container of Cool Whip over the top and garnish with whole cherries. If serving the Pink Salad frozen remove it from the freezer about 20 minutes before serving so it can soften enough to easily serve. Pink Fluffy Salads as a side dish or a dessert recipe? Do you like to serve these old fashioned fluffy salad recipes as a side dish with your main course or as a dessert recipe? 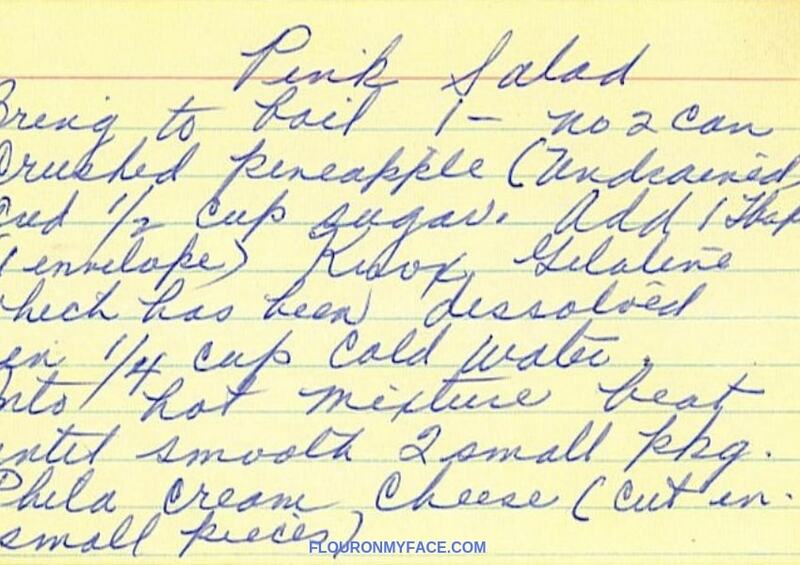 Aunt Mary’s Pink Salad recipe is another old family recipe from my mother-in-law. Aunt Mary is her actual Aunt and Aunt Mary would bring a big bowl of this Pink Salad recipe to family get-togethers. 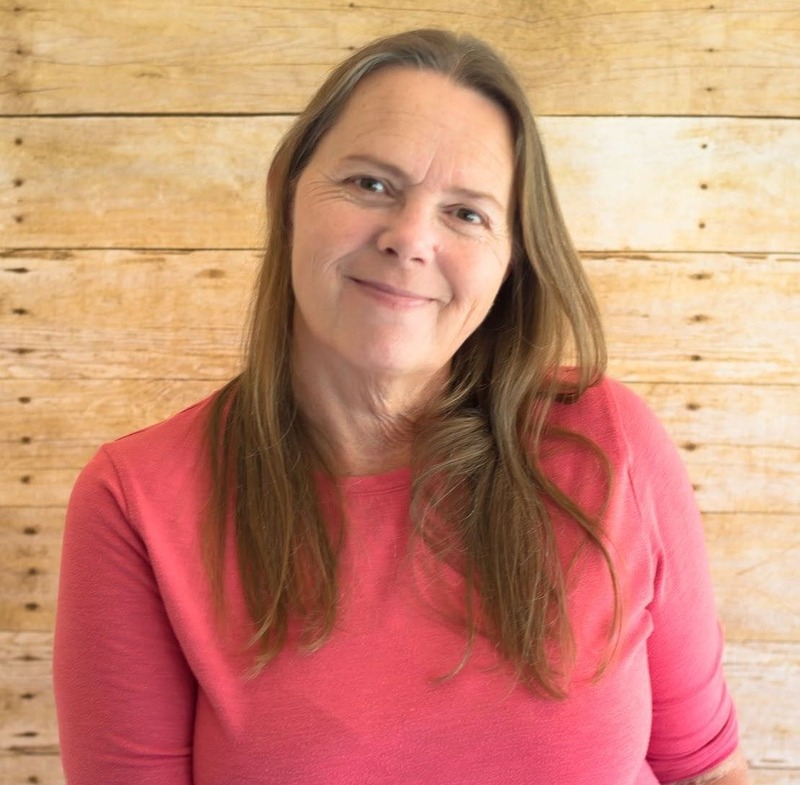 My mother-in-law has a green salad recipe she brings to all of our family meals which also came from Aunt Mary and we serve it alongside our main meal. My MIL does not like cherries. She prefers the green JELL-O salad and another one that is made with tangerine JELL-O. It looks like the tangerine JELL-O has been discontinued so we have not had the tangerine salad in a very long time. 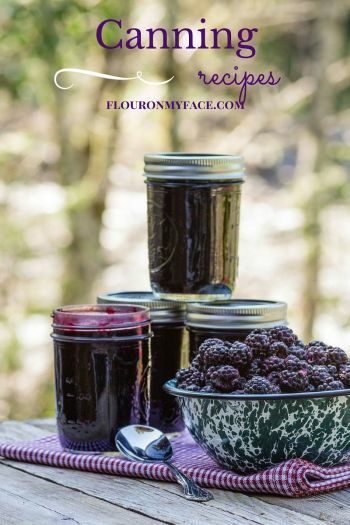 Scroll down to the bottom of this post to check out some of my other old fashioned dessert recipes. This old fashioned Pink Salad recipe is served as a side dish or dessert recipe. 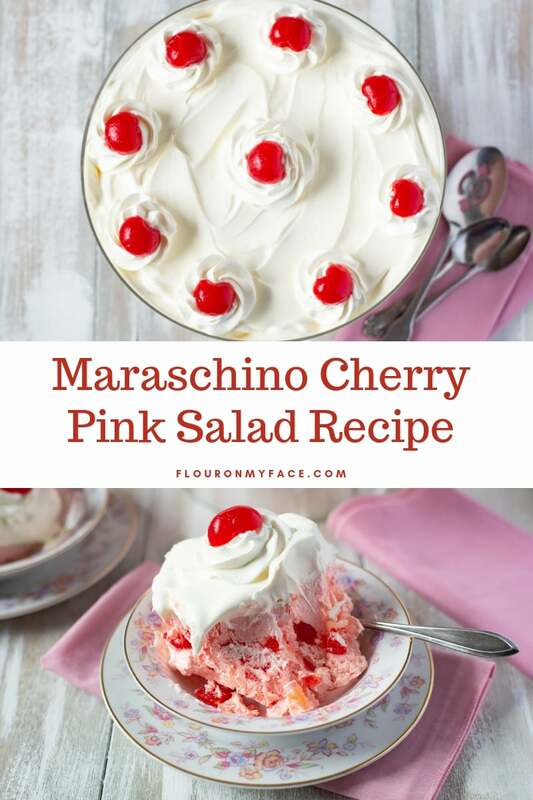 Unlike the Pink Fluff recipe, this Pink Salad recipe is made with gelatine, maraschino cherries, cream cheese, and cool whip topping. It can be served fluffy or frozen for a brightly colored holiday recipe. 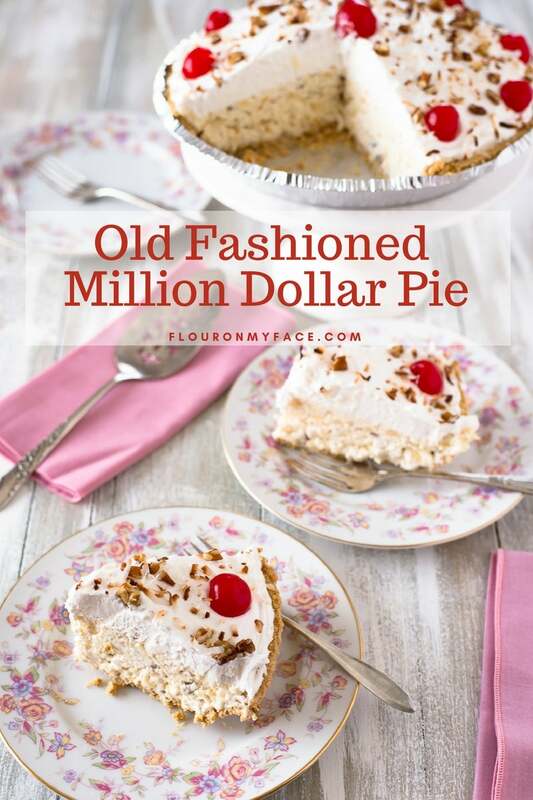 The Million Dollar Pie recipe is another favorite old fashioned dessert recipe perfect for Easter dessert. 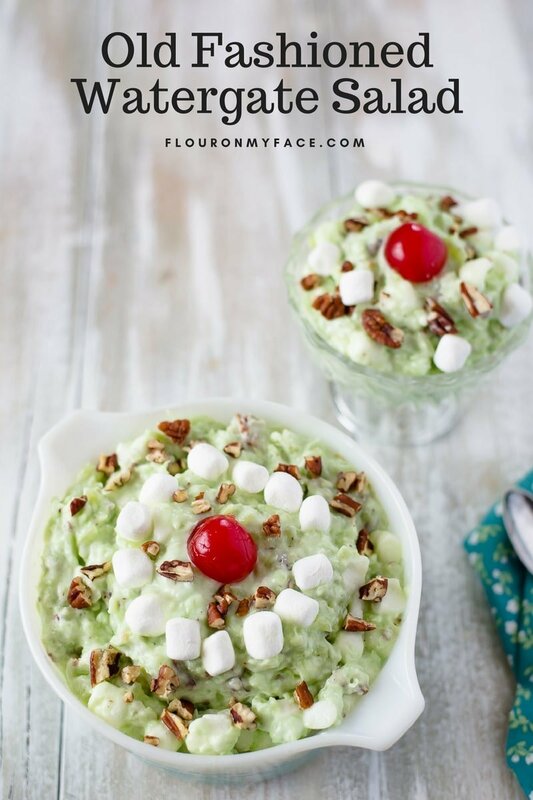 The Watergate Salad Recipe is made with pistachio pudding mix, crushed pineapple, cool whip, mini marshmallows, and nuts. and is traditionally served at Easter time. 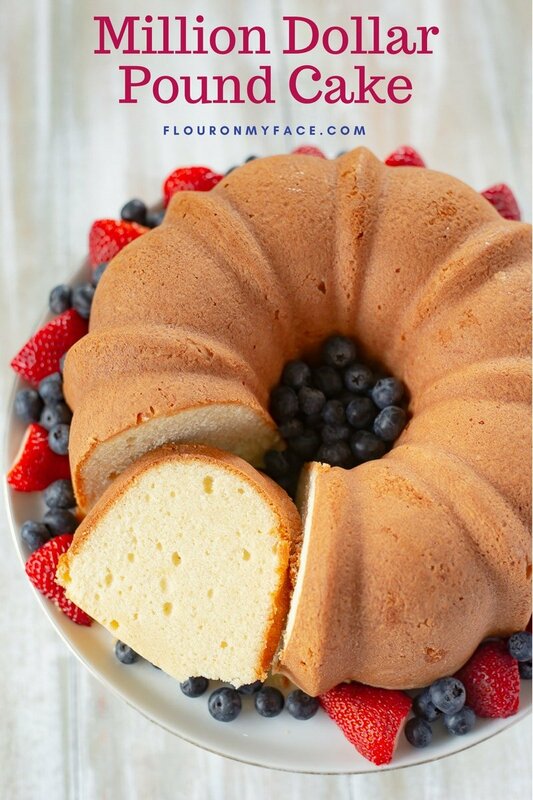 The Million Dollar Pound Cake recipe is rich and buttery. Top it with fresh berries and whipped cream. My son does not like cherries but I love this, so I am wondering if it could be made using diced peaches. Both my son and my 90 y/o Dad love peaches and I may try this recipe using that fruit for a change. Thanks!!! PT this would be amazing made with peaches but it won’t be a pretty pink color. The color comes from the cherry juice. It has been AGES since I had this salad. It sure does bring back some childhood memories. Love the colour, and it is super easy to make too. Perfect to take along to a party. It is the perfect color for Easter for sure. That looks so yummy! 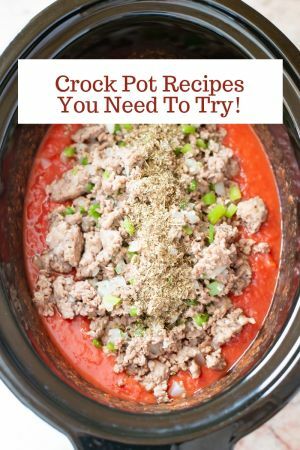 I was just thinking about a recipe like this yesterday. 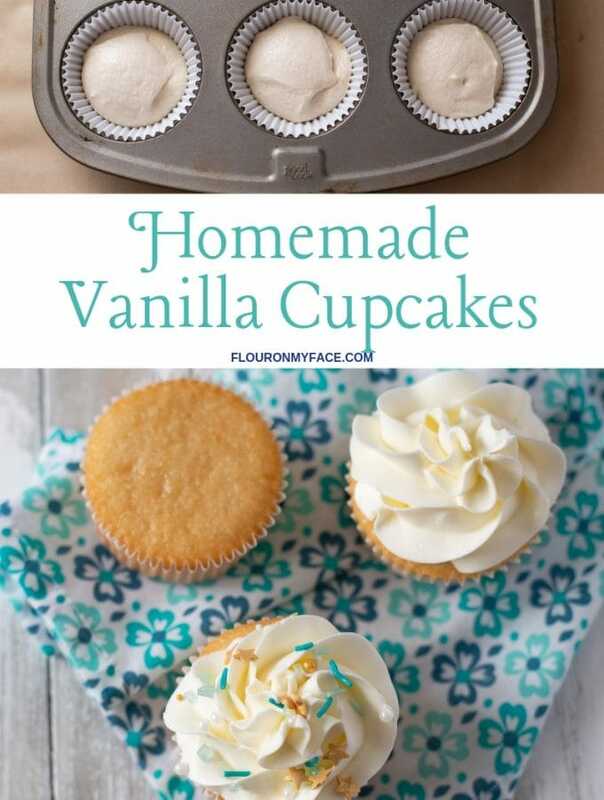 I think it’s the spring weather that has me craving cool, sweet desserts like this. 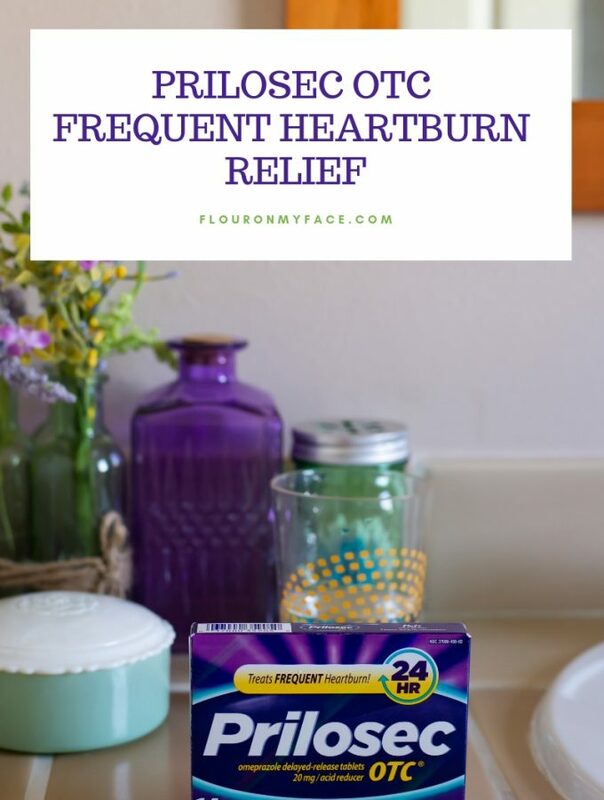 Easter is a perfect time for a recipe like this! I love old family recipes like this! Brings you back to simpler times eh? This pink salad looks so refreshing and fun to serve for Easter. Yes old family recipes can really stand the test of time. Still so good after all these years. This is so perfect, colorful and looks delicious too. 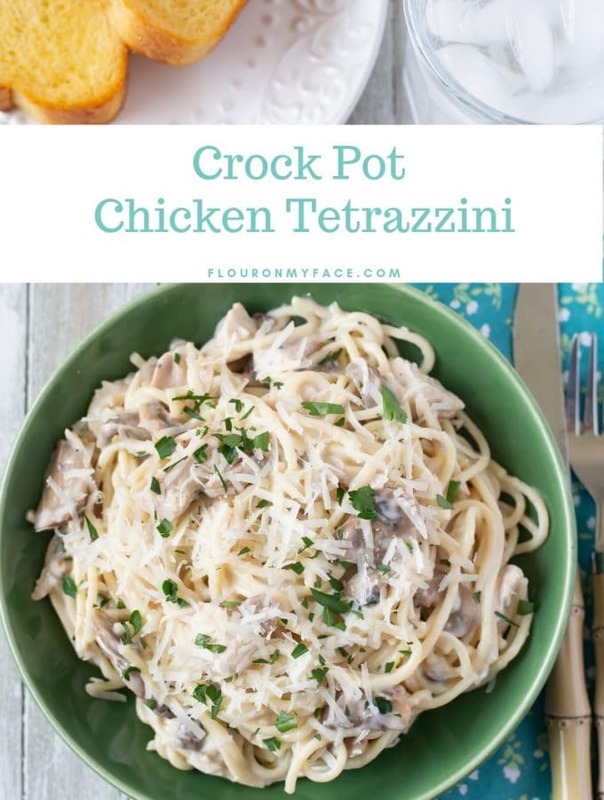 Would love to try this recipe. I am drooling. I grew up having salads like this every Sunday! Looks so yummy and pretty! Love your aunt’s recipe card too. Such a great memory. I fondly remember all of these whipped Jello salads. My gosh! It wouldn’t have been picnic or family gathering if there hadn’t been a Jello salad. I can see this pink one at several gatherings coming up this summer. I’ll be saving the recipe.